CURVE STICKS Industrial Sewing - SOUTHWEST SEWING MACHINES, LLC. The most popular contour. Used to lapel, elbow, skirt, slack, trouser or anywhere a special contour is needed. 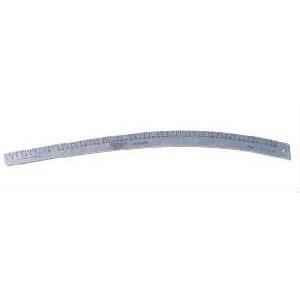 Excellent for both ruling and cutting; Calibrated one edge, two sides. Practically replaces a set of French curves. Manufactured from the highest quality hard, tempered aluminum to provide years of reliable service. Extremely lightweight for comfortable use and easy portability. Manufactured to meet the highest standards of accuracy. Essential tools for fashion designers and patternmakers.